Are the weekend rides of your partner starting to bother you? Are you beginning to doubt where he or she rides every weekends? Or who he or she is riding with? If these questions are beginning to disturb you, don't hire a private detective just yet. 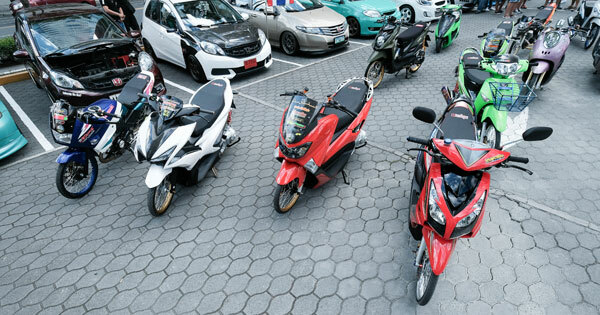 You might find some answers in a recent event held by a group of riding couples. 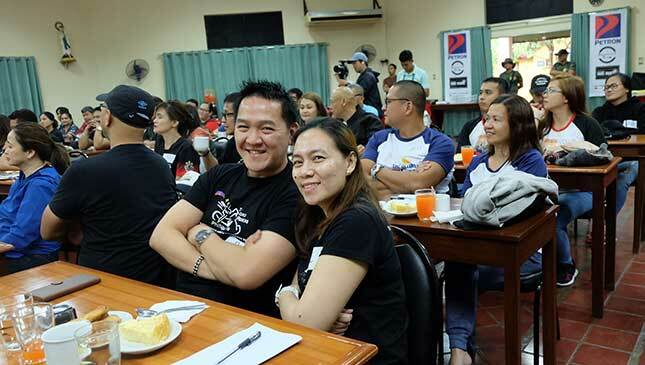 Last June 9, 2018, 31 couples braved the stormy weather and took their two wheelers to a retreat house in Tagaytay City. Wearing raincoats over their riding gear, some rode in tandem while other pairs used separate bikes going to the venue, bravely facing the heavy downpour and poor visibility along the slippery route. 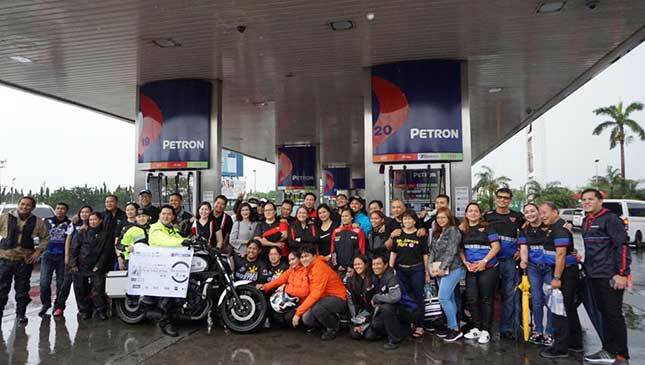 As the rain worsened in the morning, others decided to take their four-wheeled vehicles to the rendezvous point at a Petron station along the SLEX in San Pedro, Laguna, before joining the convoy of motorbikes to Tagaytay. 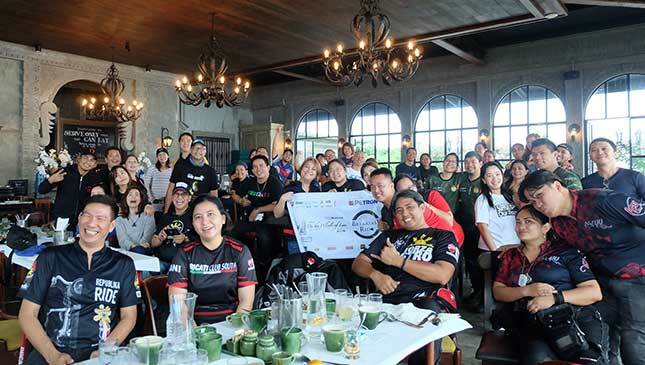 Dubbed as ‘On the Wheels of Love,’ the event was organized by prime movers of the Breakfast Ride community, led by couple Raymon and Malou Gabriel. The riders’ raincoats were no match for the heavy downpour, leaving them soaked and feeling cold as they arrived at the Angel's Hills retreat center. On the way up the couples looked awesome wearing twinning T-shirts with their own theme. But upon arriving they wasted no time in changing to dry clothes to attend the seminar. During the first part of the program, no participant openly admitted that their partner’s riding passion is already affecting their relationship. But by listening to their jokes and by observing their body language, one can easily sense that some of them are facing marital issues. 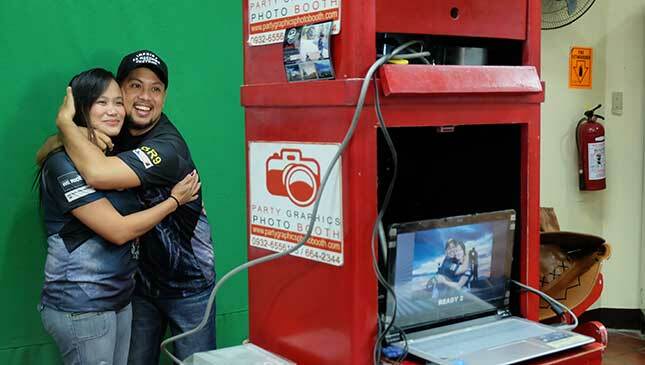 For some wives in the event, it was evident that jealousy has gone beyond the issue of motorcycles and riding. Salesian priest Fr. 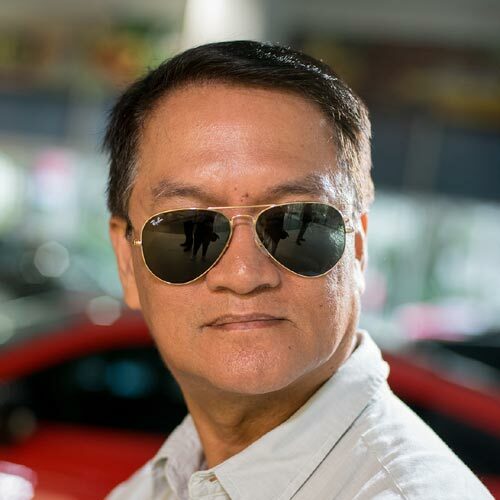 Dennis Paez presided over the quickly arranged seminar for the riding couples. For those who know him well, Father Dennis holds a 'zero record' of marriage breakups from the couples whose weddings he officiated. Witty and cheerful, Father Dennis knows where to hit the nail. “Trust is more important than love,” he declared. "Love does not lead to trusting a person. It’s the other way around," he explained. He reminded them of the importance of always expressing gratitude to persons who have done a good deed, to always spend time with family members, and learning to forgive. Each couple was asked to write in pieces of paper their expectations from their partner and what they can give back. After Father Dennis delivered his enlightening words, hugs and kisses filled the atmosphere. The participants were already eager to attend similar events in the future. 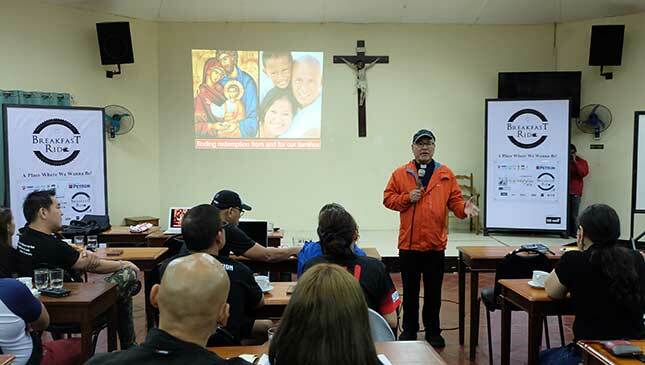 Many of the riding couples also thought that Father Dennis would share his sentiments against motorcycles not solely anchored on marital infidelity issues, but also regarding road safety. Surprisingly, there was no lecture of this sort. From the moment they arrived at the retreat house, Father Dennis knew how much these lovebirds loved motorcycles. And he would rather leave it like that. What’s important for him is for the riding couples to strengthen their family relations by, first and foremost, trusting their partner. “Always be open to each other,” said the Salesian priest.